We are at the mercy of media. Day in, day out, we are assaulted from all angles by messages from unknown minds without our consent. Advertisements in television, radio, and hard copy are incessant and omnipresent. We absorb it all without question, and really, do we have a choice? Unless one plans on holing up in a jungle or one of the poles, the influence of media is pretty much assured. And whether the effect is positive or negative has no bearing on its inevitability. Copper Sloane Levy had a fascination with media at a very young age. Art. Music. Poetry. Novels. Newspapers. Magazines. Film. But it was the novel that held Levy's heart as a medium through which to express a desire to pose important questions, or to seek answers to the ones we have mercifully forgotten. 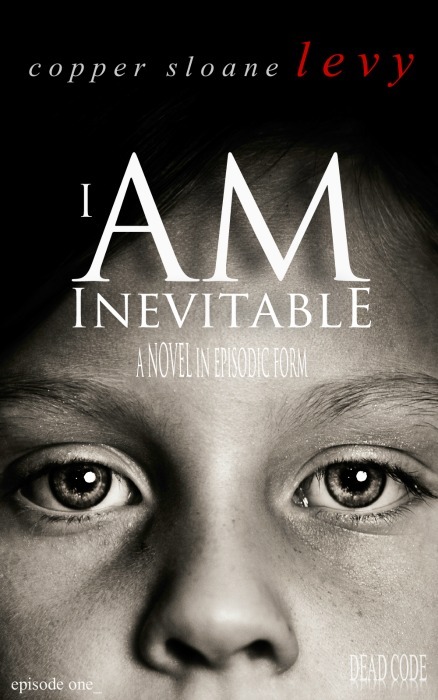 In an ultimate effort to seek answers, Levy's "I Am Inevitable" employs a number of different media forms, tied neatly into the format of a television series, with episodes (novellas) comprising seasons (full novels). Infinitely more disturbing than dystopia is the precursor that led to it. 2019. American citizens still reel from several national security secrets leaked by KEY, an organization bent on restructuring the nation from the ground up. In the midst of collective uncertainty, Giovanni Jordan, an ex-police officer, is hunted by the CIA and FBI for suspected ties to the organization cleverly hidden on American soil. To make matters more mysterious, a girl, claiming to be in possession of all the secrets ever hidden from the American public, has become the media's darling. Fans call her a reckoning. A savior. But the one thing they don't know, unless they've seen her in action, is that she's virtually invincible. In an ultimate effort to seek answers, Copper Sloane Levy's "I Am Inevitable" employs a number of different media forms, tied into the format of a television series, with episodes (novellas) comprising seasons (full novels). Welcome to the beginning of our end.